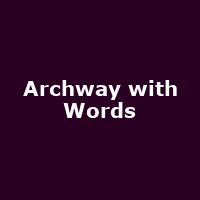 New for 2013, 'ArchWay With Words' is a literary festival (with music/ poetry) based in Archway, North London, commissioned by Archway Town Centre Group with funding from Islington and Word 2013. It is the brainchild of Stephanie Smith, manager of Archway Market and has the support of Archway's businesses. The 2013 event featured Paul Morley, Colin Davies, Lucy Popescu, Jah Wobble (live), John Hegley, George Nelson, Shannon Kyle, Joanna Briscoe, Caitlin Davies, Yasmin Whittaker-Khan and many more.